Design plans for the location. Main Street Portsmouth, with the help of several other organizations and local businesses, is undergoing a project to revitalize an existing downtown structure and create a new public space. 535 Second Street, which has been a vacant and overgrown lot in the Boneyfiddle District since the roof caved in roughly a decade ago, is in the process of being transferred to Main Street to be transformed into a public garden court. According to the Main Street Portsmouth Facebook Page, the space is intended to be an intimate local gathering place where small performances, poetry readings, drumming circles, weekend art galleries could be held, as well as serve as a destination lunch spot, or a quiet reading place. 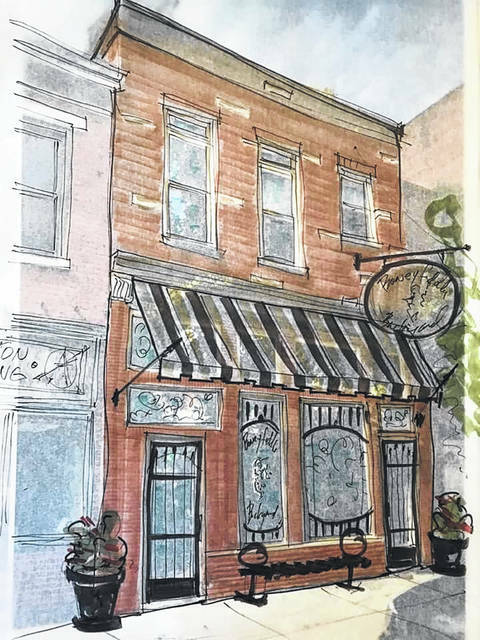 According to the organization, both city and county officials are in support of the project, along with many second street business owners, Heritage Ohio, and community organizations. 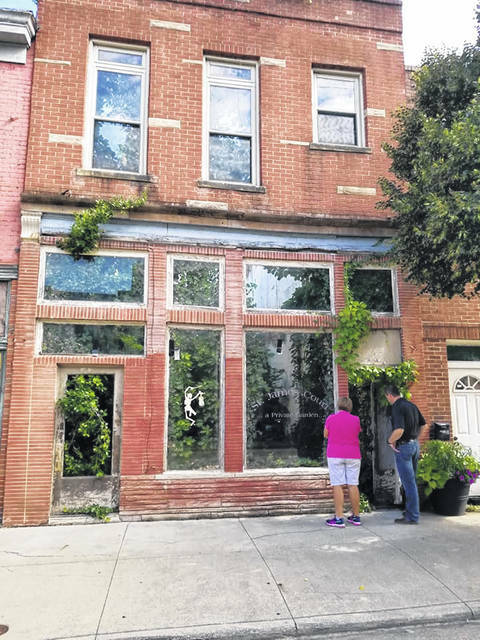 According to Main Street Portsmouth, after the transfer is complete with help from SOPA and the Land Bank, the Scioto County Career and Technical Center has volunteered to work alongside Main Street to turn what is now a jungle into a quaint gathering place. https://www.portsmouth-dailytimes.com/wp-content/uploads/sites/28/2018/09/web1_MAIN_ne2018912151850713-1.jpgDesign plans for the location.